Following the terror of the Apocalypse, life in the Irish community of Tugaim, is simple – but the people still fear the eerie Glowing Lands, remnants of a lost, long-ago world. Even more, they fear the dreadful Gealtacht asylum which houses the mutants the Apocalypse created. Devastated by Joanna’s loss, Flynn tries to channel the strange powers of the mutants and enter the Glowing Lands. But the shifting Time Curtain leads him not to Joanna, but to the glittering palace of Tara – to a Tara divided and at war, ruled by a usurper. 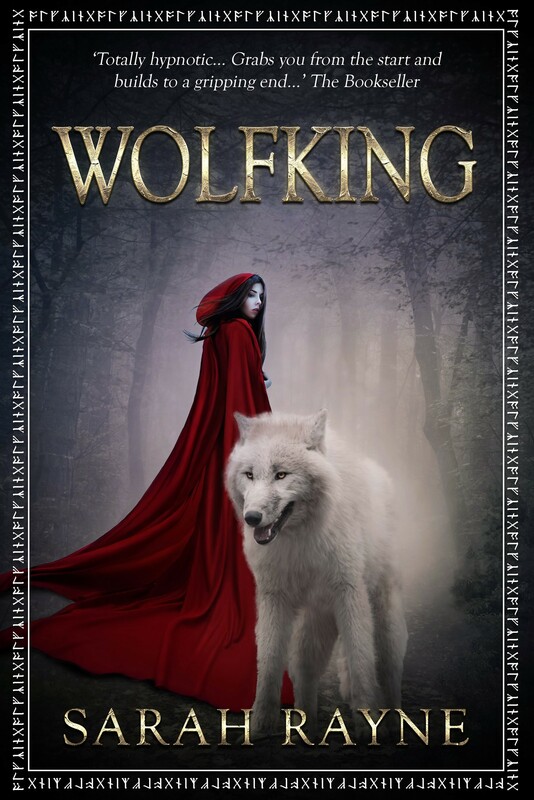 Wolfking is an epic fantasy adventure and the first of a gripping quartet of novels that invoke Celtic tones of Ancient Ireland. It was originally published under the pen name Bridget Wood. The young man on the dais was like no one Joanna had ever seen before… He was dark and very slim, but despite the slimness, there was no suggestion of weakness. There was a whipcord strength about him that suggested it would be dangerous to make an enemy of him. Again the pause. At last, ‘I am Cormac mac Airt,’ said the man. ‘Whom some call Cormac Starrog.’ He moved nearer, and Joanna saw how his features slanted. Like a wolf’s. ‘Yes,’ said the man softly, ‘yes, I have another name, Joanna. It is Cormac of the Wolves.I am the exiled High King of Tara, and the last of my line…. ‘There are those among the Council who wish to trade with the Old Ireland. The Dark Ireland… I must stop them… They are waking the terrible sorceresses of the north; The Morrigna, a trio of hell sisters who feed on the corpses that rot in battlefields, and who lure victims into their house and cage them. He paused, and a tremor went through him, so that Joanna thought — in purest astonishment — he is afraid. Cormac looked back at her, the firelight reflected in his eyes. ‘He eats the children,’ he said.